Practical and functional cleaning robots are now a commercially available product in Japan. The latest model is one designed and developed by major companies Fuji Heavy Industries and Sumitomo. Ten years ago the two industrial giants had come up with a similar machine. This current model is said to be a simpler version that has the notable capability of navigating around obstructions. 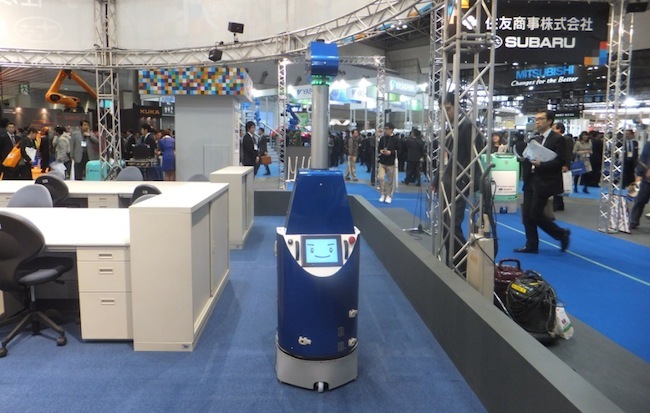 A typical office filled with desks, equipment and employees may seem like an obstacle course but this cleaning robot can move through the space using its laser range finder. It even voices out a message telling the obstacle to get out of the way, just in case the obstacle happens to be human. The robot will wait for 15 seconds and if the obstruction remains, it moves around it. The robot is battery-powered and can run for two and a half hours. Its average movement speed is 30 meters per minute. According to its creators, the machine is said to cut cleaning times by half.